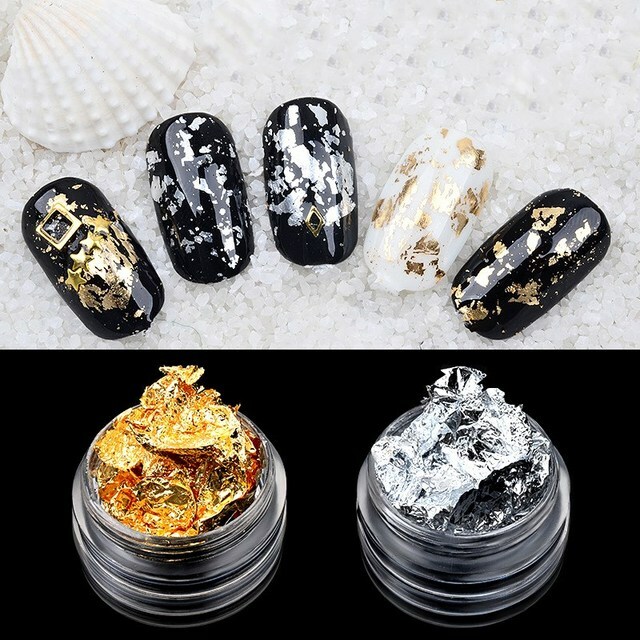 Aliexpress.com: Comprar 1 caja de plata de oro Irregular de aluminio papel de Arte de uñas de 3D brillo DIY manicura de Gel UV polaco decoración de uñas herramientas de Pegatinas y etiquetas fiable proveedores en Guangzhou Alison International Trade Co.,Ltd. Product order will be shipped within 120 hours, open to booking commodity in expire after delivery, please be patient. Products update frequently, can seek advice before place the order online customer service, also can directly to place an order. Commodities such as the wrong size, customer self-care shipping exchange, such as the quality of goods, the shop bear the freight exchange.